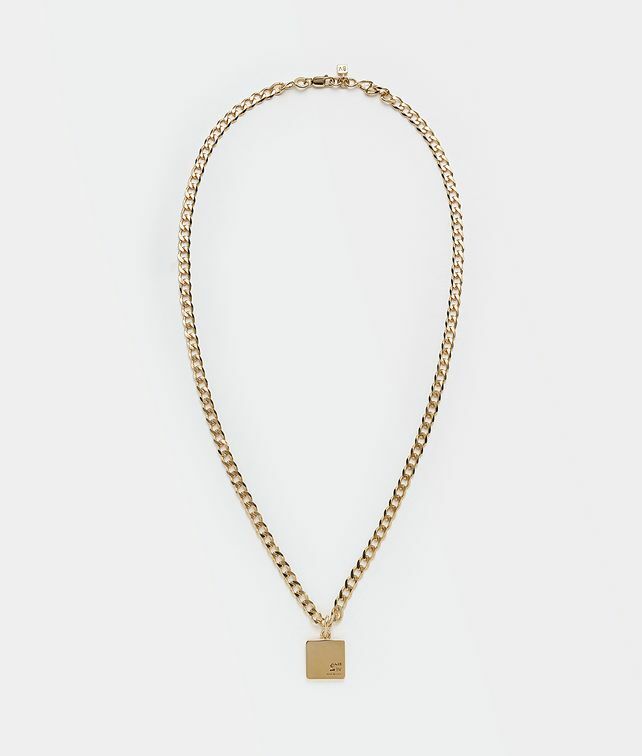 Made in sterling silver with a warm 18-karat gold finish, this ID necklace is discreetly engraved with hallmarks of Bottega Veneta and the metal standard. Classic yet minimal, the necklace is an essential piece of men’s jewellery. Length: 52 cm | 20.4"